Lithium is a key component in EV batteries. TORONTO -- Scientists have found an unexpected new source for lithium, a key component in battery-powered electric cars and other renewable energy technologies: supervolcanoes. Most of the world's lithium comes from Chile and Australia, and expanding access to the mineral is crucial for meeting demand for new green technologies to reduce carbon emissions, Stanford University scientists said on Wednesday. "The demand for lithium has outpaced the scientific understanding of the resource, so it's essential for the fundamental science behind these resources to catch up," Stanford University researcher Thomas Benson, the study's lead author, said in a statement. 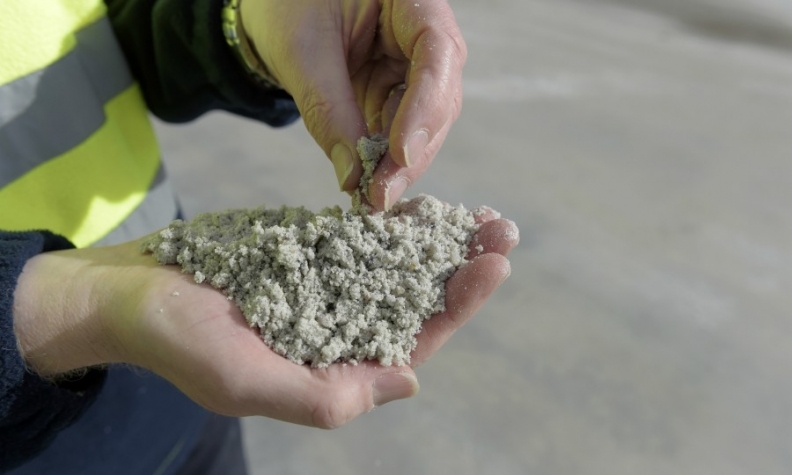 "Now we have a way to easily find more of these lithium deposits." The discovery comes as more companies, including large carmakers whose products cause significant carbon emissions, work to develop climate-friendly technologies. Electric cars, which use lithium ion batteries, are gaining traction as an emission-free alternative to conventional cars. "We're going to have to use electric vehicles and large storage batteries to decrease our carbon footprint," Gail Mahood, a professor of geological sciences at Stanford University and the study's co-author, said. Supervolcanoes are much larger than ordinary volcanoes and erupt at least 1,000 cubic kilometers of material in one eruption. Scientists studied the contents of craters left by supervolcanoes in Oregon, Nevada and other parts of the United States, which erupted millions of years ago. They sliced through tiny bits of volcanic magma, which were trapped in crystals in the craters, and analyzed them to find the valuable silvery-white metal. Volvo pledged last month that all new cars it launches after 2019 will be pure electric or hybrids vehicles. Other automobile firms are also planning to increase production of electric vehicles, which will boost the demand for lithium, considered a strategic resource by some governments. The number of electric vehicles on roads worldwide rose to a record high of 2 million last year, according to the International Energy Agency (IEA), accounting for 0.2 percent of the global count.